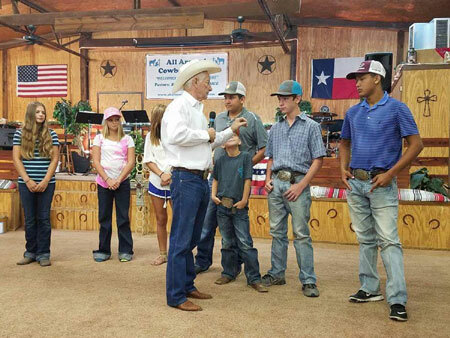 Our youth group is mainly cowboys and cowgirls that participate in many different events in the Rodeo world. We have Barrel Racers, Pole Benders, Goat tiers, Breakaway ropers, for the girls. The boys have tie down roping, steer wrestling, team roping and rough stock event. We have youth that participate in FFA showing and judging. Our Bellville FFA youth placed 3rd out of 390 teams in Houston livestock show in February. They bring forth Gods Word at these events and see the Kingdom of God growing.